One more class over and done with! ASA101 and 103 behind us, only 104 is left and we’re ready for bareboat charters! 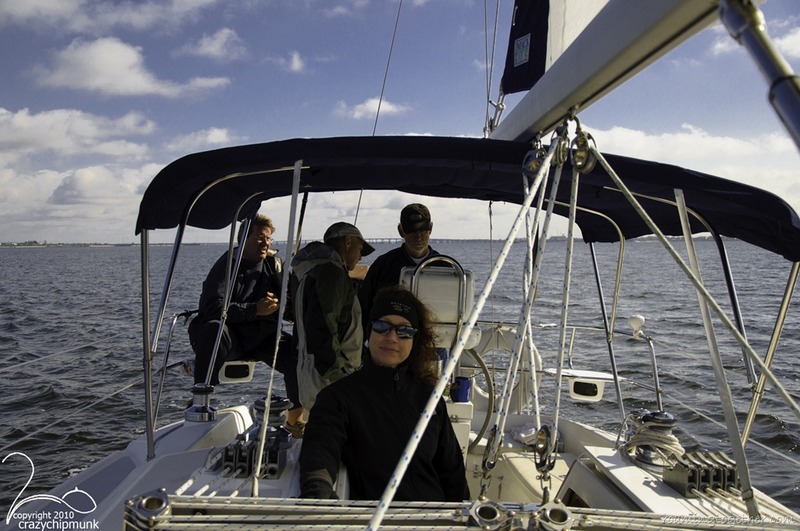 We’ve also decided that we’re going to continue our sailing education with the ASA 105 (coastal navigation), 106 (advanced coastal cruising) and 114 (catamaran), and shortly afterwards we’ll pursue both of us getting our USCG Captain’s Licenses. Another day of heavy winds, we ran under a reefed main that was barely up, and a reefed jib. 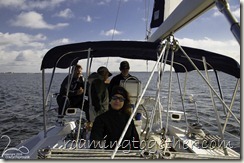 The furling sails sure make reefing a joy, and quick and simple. Points of sail, docking, and man-overboard drills are even more fun with lots of wind We’re looking forward to the 104 class in mid-February!